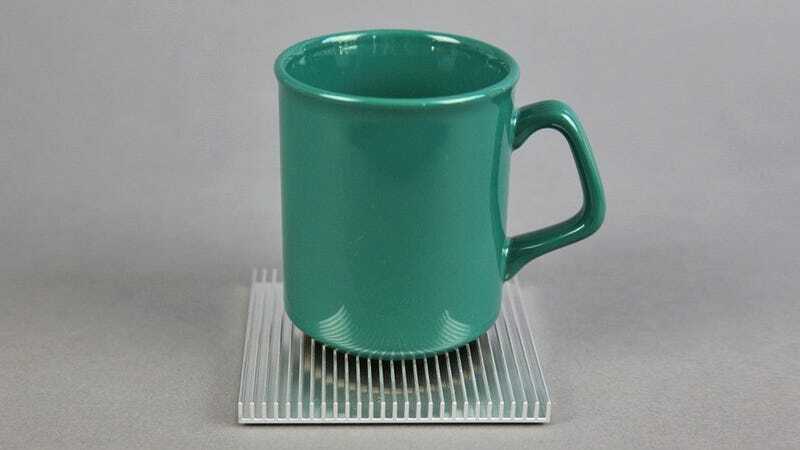 If they're good enough to keep temperatures under control inside your electronics, it only makes sense that a simple aluminum heatsink would be just as effective at taming a piping hot cup of coffee. Not to mention providing plenty of tiny channels for condensation to collect instead of dripping onto your furniture and leaving unsightly rings. These Fin Coasters feature a thin cork underlay further protecting the surface of your tables from scratches and excess heat. And since this is a highly engineered way to deal with hot beverages, it only makes sense that a set of two—available in silver or black finishes—will set you back $65. A tad bit pricey, but your furniture will thank you for splurging.